STEVENS POINT, Wis. — Lawrence University track and field standouts Josh Janusiak and Kate Kilgus both narrowly missed school records at the Pointer National Qualifier at UW-Stevens Point on Saturday. Janusiak finished eighth in the 3,000 meters in 8:47.97, just shy of Cam Davies’ school record of 8:46.71. Kilgus finished 10th in the mile with a time of 5:22.68. She was less than a second from breaking Erin Schrobilgen’s school record of 5:21.84. Noah Shea also competed for the Vikings and placed eighth in the triple jump with a leap of 41 feet, 3.75 inches. 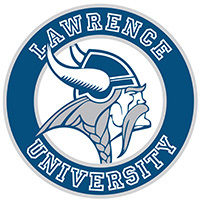 JACKSONVILLE, Ill. — Lawrence University track and field standout Noah Shea leaped to the title in the triple jump Saturday and was named the Newcomer of the Year at the Midwest Conference Championships. Shea uncorked his longest jump of the season at 44 feet, 4 inches, to win the title by more than nine inches. Beloit College’s Dewight Walker was second at 43-7.75. It marked the first conference title for Shea and it is the first time Lawrence won the triple jump since All-American Kolade Agbaje-Williams did it in 2006. Shea also won the league’s Newcomer of the Year Award and was the only freshman to win an individual title at the conference championships. Distance star Josh Janusiak was going for his second title of the weekend as he ran the 3,000 meters on Saturday. 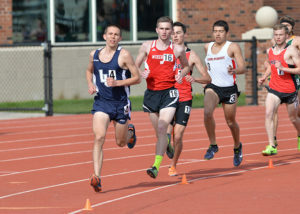 The sophomore led from the start until the final 300 meters when he was overtaken by a trio of Cornell College runners, none of whom ran the 5,000 that Janusiak won on Friday. Janusiak had to settle for fourth in 8:52.29 as Cornell’s Mason Wicker won in 8:49.15. Dan Sandacz grabbed a fifth place for the Vikings in the 60 hurdles in 9.04 seconds, Jackson Straughan grabbed seventh in the weight throw at 45-7 and Will Nichols raced to eighth in the 400 in 51.62 seconds. Lawrence’s distance medley relay team of Shea, Ben Schaefer, Terrell Myers and Max Edwards placed eighth in 11:24.96. The Lawrence men finished in eighth place with 40 points, and Monmouth College won the title with 156. On the women’s side, Lawrence finished eighth with 30 points, and St. Norbert College took the title with 209.5. Hannah Kinzer capped a great weekend by placing fourth in the 3,000 meters in a personal-best time of 10:54.28. Kinzer grabbed third in the 5,000 on Friday. Lawrence’s two relays also had great runs as the distance medley relay was third and the 4×400 was fourth. The distance medley relay team of Amy Hutchings, Mikaela Hintz, Christina Sedall and Kate Kilgus ran its fastest time of the season at 13:15.09 to take third. The 4×400 team of Kilgus, Hintz, Hutchings and Janey Degnan also had a season-best time of 4:17.35 to take fourth. Sedall also picked up an eighth place in the 800 in 2:33.59. 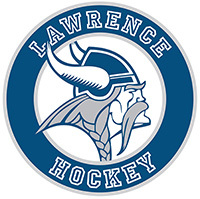 JACKSONVILLE, Ill. — Lawrence University track and field star Josh Janusiak ran to victory in the 5,000 meters Friday to pace the Vikings on the opening day of the Midwest Conference Championships at King Field House. Janusiak, a sophomore from South Milwaukee, charged to the win in 15:18.88 and won by nearly 12 seconds over Grinnell College’s John Lennon, who was second in 15:30.34. Lawrence’s Ben Schaefer finished seventh in the event in 16:15.73. It the first track conference track title for Janusiak, who won the league’s cross country crown last fall. Lawrence got two other individual placements on the day as Wes Hetcher took seventh in the pole vault with a height of 12 feet, 6 inches, and Jackson Straughan took seventh in the shotput at 41-6. The men’s 4×200 relay of Will Nichols, Noah Shea, Terrell Myers and Dan Sandacz took eighth in 1:34.43. Hannah Kinzer grabbed all-conference honors in the women’s 5,000 as she raced to third place in 18:54.54. Cornell College’s Abrah Masterson won the event in a conference record time of 17:51.61. Kate Kilgus placed in one event and was part of a place-winning relay team. Kilgus ran to seventh in the mile with a time of 5:23.44. Kilgus was joined by Janey Degnan, Fanita Robins and Mikaela Hintz on the sprint medley relay team that placed fourth in 4:33.40. The Lawrence men are in seventh place with 17 points, and Monmouth College leads with 62. The Lawrence women are in seventh with 13 points, and St. Norbert College is first with 91.5. 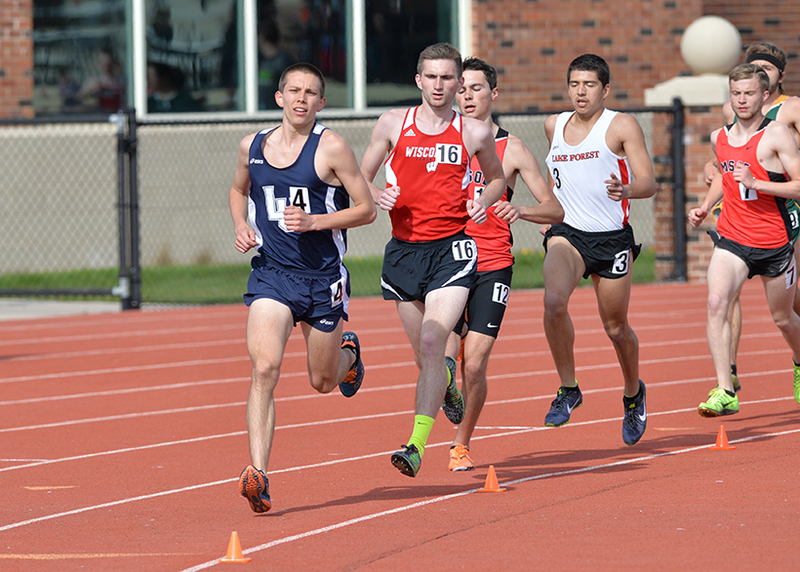 Lawrence’s Josh Janusiak, left, holds the top times in the Midwest Conference in both the 3,000 and 5,000 meters. APPLETON, Wis. — Lawrence University track and field coach Jason Fast is a little like a kid on Christmas morning. He’s staring at the presents and just can’t wait to rip off the wrapping paper. Fast and his Vikings are heading to the Midwest Conference Championships at Illinois College this weekend, and the expectations are higher for the men’s team than they have been in some time. “Everyone is excited for the possibilities. We’re not a team that’s strong in one event or another. We’re a more well-rounded team,” said Fast, whose men’s team was picked to finish sixth in a preseason poll. The last time the Vikings finished as high as fifth during the indoor season there was still a country called East Germany. That was 1990. Super sophomore Josh Janusiak leads the Vikings into the meet and holds the top times in the league in both the 3,000 (8:51.59) and 5,000 meters (15:22.20). Janusiak’s excellent running mate, freshman Joe Kortenhof, has battled through injury during the indoor season but will compete this weekend. The most versatile Viking is freshman Will Nichols, who will likely compete in six events this weekend. Nichols just broke the school record in the 200 meters at 22.81 seconds and will be a factor in the 400 as well. Nichols, who had never triple-jumped before this year, has jumped over 40 feet this season. Another rookie, Noah Shea, is ranked second in the league in the triple jump at 43 feet, 10.5 inches. He also will run the 4×200, 4×400, sprint medley and distance medley relays. The Vikings also have other contenders in Jackson Straughn (weight throw, shot put), Wes Hetcher (pole vault) and Dan Sandacz (60 hurdles). Another factor in Lawrence’s success during the indoor season has been the weather. Since Lawrence doesn’t have an indoor track, the Vikings practice outside. The unseasonable weather has been a boon. OSHKOSH, Wis. — Lawrence University rookie Will Nichols shattered the school record in the 200 meters on Saturday at the UW-Oshkosh Titan Challenge at Kolf Sports Center. Nichols, a freshman from Virginia, raced to third place in a time of 22.81 seconds, cruising past the 13-year-old school record of 23.06. The mark was set by Adrell Bullock back in 2004. Led by Nichols, the Vikings finished seventh with 13 points. Another freshman, Noah Shea, grabbed fifth in the triple jump with a leap of 42 feet, 11.5 inches. Ben Schaefer ran to eighth place in the 5,000 in 16:40.23, and the 4×400 relay team was eighth in 3:34.45. On the women’s side, Hannah Kinzer paced the Vikings by taking third place in the 3,000 in 11:03.69. The 4×400 relay team raced to sixth place in 4:25.79. The women were 10th in the team standings with 12 points. OSHKOSH, Wis. — Lawrence University track and field standout Josh Janusiak was the lone Viking competing on Saturday at the UW-Oshkosh Invitational, but he didn’t let that slow him down. Janusiak grabbed second place in the 5,000 meters in 15:22.20 and raced to the fastest time in the Midwest Conference in the process. Janusiak battled UW-Whitewater’s Noah Stamsta, who edged Janusiak with a time of 15:19.78. Janusiak’s time is the fastest in the conference by more than 21 seconds. The Vikings return to action next Saturday at the UW-Oshkosh Invitational. STEVENS POINT, Wis. — Kate Kilgus grabbed a second-place finish in the mile on Saturday to lead the Lawrence University track teams at the Pointer Invite at UW-Stevens Point. Kilgus raced to second in a time of 5:30.73, and UW-Stevens Point’s Emily Scheibecker took first in 5:22.30. The Lawrence women posted two more top-five finishes as the Vikings took seventh in the team standings with 17 points. Hannah Kinzer grabbed fourth place in the 3,000 in 11:19.23, and Amy Hutchings raced to fifth in the 800 in 2:39.84. On the men’s side, Will Nichols posted a pair of top-10 finishes. Nichols grabbed eighth place in the 400 meters with a time of 52.10 seconds. Nichols also took ninth in the triple jump with a leap of 40 feet, 5.5 inches. The top finisher for the Lawrence men was Josh Janusiak, who took seventh in the mile in 4:32.48. Alex Egbert of UW-Stevens Point took first in 4:23.90. PLATTEVILLE, Wis. — Lawrence University track standout Josh Janusiak raced to victory in the 5,000 meters Saturday at the UW-Platteville Pioneer Open. Janusiak blew away the field in the 5,000 with a winning time of 15:34.23 and posted a winning margin of more than 17 seconds. Rookie Noah Shea posted a second-place finish in the triple jump as leaped 42 feet, 7.5 inches. Fellow freshman Will Nichols was eighth with a distance of 39-11.25. Shea and Nichols teamed with Terrell Myers and Dan Sandacz to take third in the 4×200 relay with a time of 1:36.09. Wes Hetcher grabbed seventh in the pole vault with a height of 11-8, and Myers took eighth in the long jump with a leap of 19-5.5. On the women’s side, Hannah Kinzer raced to second in the 5,000 in 19:32.02. The 4×200 relay team of Mikaela Hintz, Hallie Sogin, Fanita Robins and Janey Degnan took second in 1:57.35.